Kalifornia Love: My Dinner: Ribs! I just wanted to share my dinner with you all real quick because it's DELICIOUS. 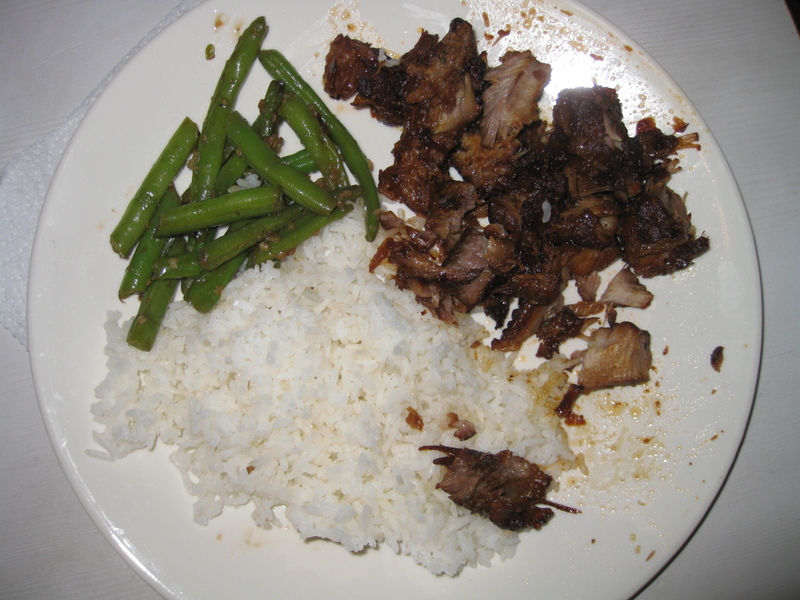 My auntie made us some ribs and green beans (sauteed in garlic I think.) I'm a total meat lover/carnivore so this was a real treat compared to the oatmeal I had for lunch. She's a great cook/baker -she used to bake pastries and desserts for bakeries but retired a few years back. Anyways, enjoy your dinner everyone! This looks so good right now! yum yum! aw its making me hungry and i just had dinner haha! @ cocoabee.. So funny.. I get hungry right after dinner too! And LOL.. I love that we're both pen whores. I love love love cute/colorful pens. And I still have soooo much stationary from when I was a kid. I used to spend all my birthday money at Sanrio.